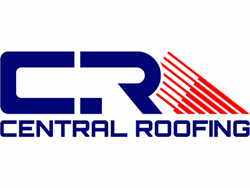 Central Roofing Company, an established commercial roofing contractor in Los Angeles, is able to help local businesses leverage the new Tax Cuts and Jobs Act via tax deductible roofing. Under previous legislation, business owners had to account for major roofing projects with depreciation over time. Thanks to the new Tax Cuts and Jobs Act, however, Los Angeles businesses are now able to take advantage of immediate cost recovery on certain projects. Tax deductible roofing allows for the full expensing of capital investments with lifespans of 20 years or less. Commercial Roofing Contractor Central Roofing Company encourages local businesses to act on the new tax code as soon as possible to avoid potential changes in regulations. Previously, when a Los Angeles business owner wanted to invest in major roofing improvements, he or she had to choose between two undesirable options. The first option was to account for this large capital expenditure via years of depreciation. The second was to forego costly projects altogether in favor of several smaller, less effective repairs. Commercial roofer Central Roofing Company saw the frustrating dilemma this presented to businesses in need of total roofing overhauls. For example, if an owner wanted to install a new roof with an expected life of 15 years, and the investment valued at $1.5 million, he or she would face depreciation of $100,000 per year. If the owner wanted or needed to avoid depreciation, he or she could only deduct up to $500,000 in annual expenses. Now, under the Tax Cuts and Jobs Act and changes to Section 168 in tax law, businesses are able to undertake certain projects and avoid devaluation with tax deductible roofing. The new legislation applies to short-lived capital investments with expected lifespans on 20 years or less, including business improvements. Additionally, new tax code raises the maximum investment limit to $2.5 million. For businesses, this means the immediate cost recovery of larger projects such as roof replacements and restoration. Ultimately, the Tax Cuts and Jobs Act will encourage a gradual increase in spending on buildings and enhancements. The new changes in tax law are currently set to last through 2025. As with any code, however, these updates have the potential to expire depending on the majority vote. This should entice business owners to invest in major projects as soon as possible in order to take full advantage of tax deductible roofing and prevent depreciation. For more information on services and options in systems that may be covered under the Tax Cuts and Jobs Act, Los Angeles businesses considering taking on new commercial roofing work can visit https://www.centralroof.com/. Central Roofing Company, a family-owned and operated business, has been serving the commercial roofing needs of Southern California since 1992. They have refined their expertise in roof coatings and restoration, roof replacement and reroofing, roof repairs and maintenance, and roof inspections. Licensed, bonded, and insured, they are leaders in Energy Efficient Coating Systems, Modified Bitumen, Composition Shingle, Rock, Built-up and more. Central Roofing Company believes that long-term support cultivates long-term relationships and repeat business. To learn more, please visit: https://www.centralroof.com/.